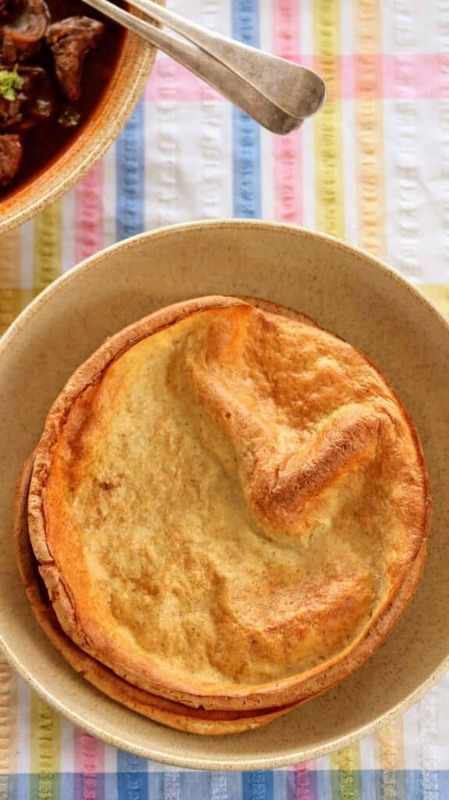 Did you know that the Yorkshire pudding was traditionally served as a starter with gravy? I’m a Yorkshire girl and I honestly didn’t know this until I spent my first Christmas dinner with my in laws. 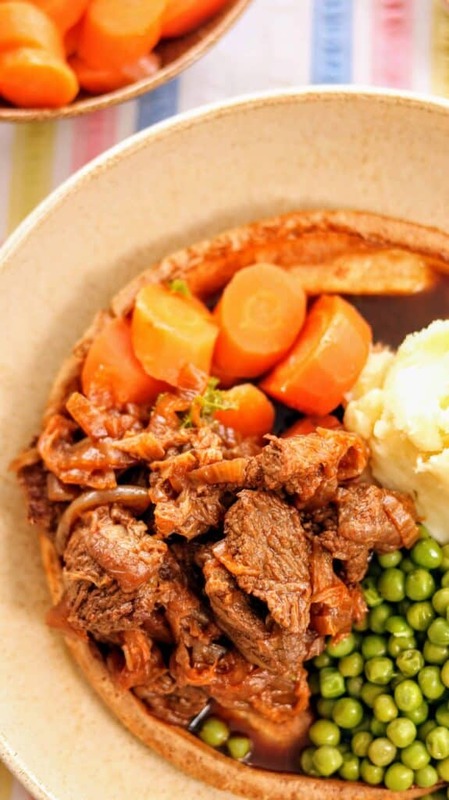 However, my favourite kind of Yorkshire pudding is a giant one, full of veg, meat and holds the gravy until I cut it. Oh yeah. Life would be dull without a Sunday roast dinner. And I am extremely ecstatic to write about how I developed one that’s syn free using your healthy extras. In fact, I correct myself. One giant pudding uses half your Healthy Extra B and a little A. Or what about making 10 regular ones instead? Also, do you remember my Syn Free Bigos (Polish Hunter’s Stew) last month? Well, my pudding made its first appearance there and I sneakily didn’t tell you. As soon as my beautiful new Studio Craft range from Denby arrived, I couldn’t wait to make a family feast. 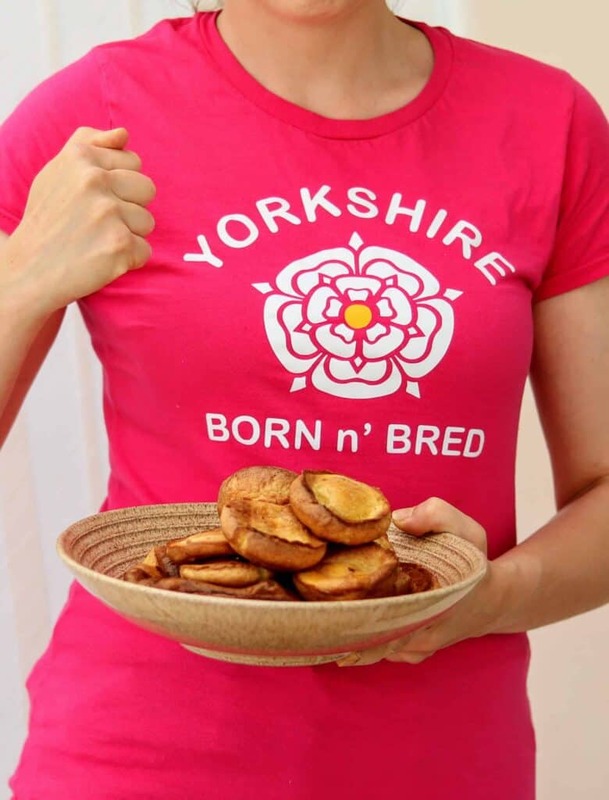 I served it giant Yorkshire puddings and in fact, one commented how I was teasing (because a YP couldn’t be syn free!) Well, here it finally is! Don’t you just love its earthy tones? 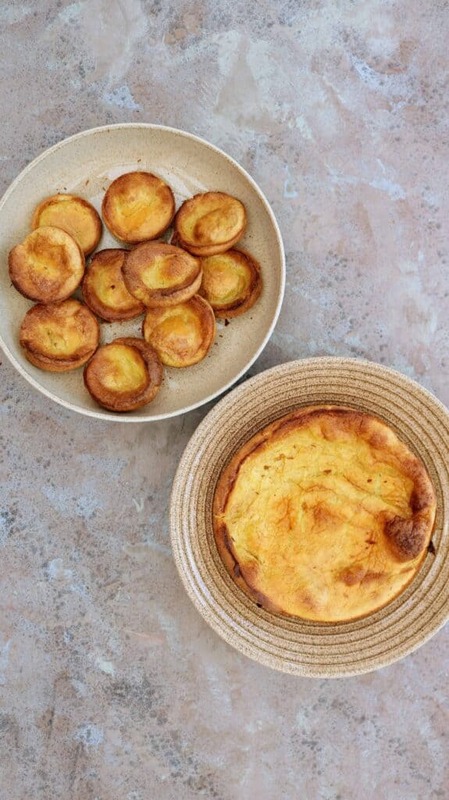 Anyway, I hope you love this recipe too because not a lot beats a Yorkshire Pudding on a Sunday roast! These were delish! Syn free using healthy extras! (I know this is a tweek) @tastefullyvikkie such a fab recipe! Made my Sunday dinner amazing! 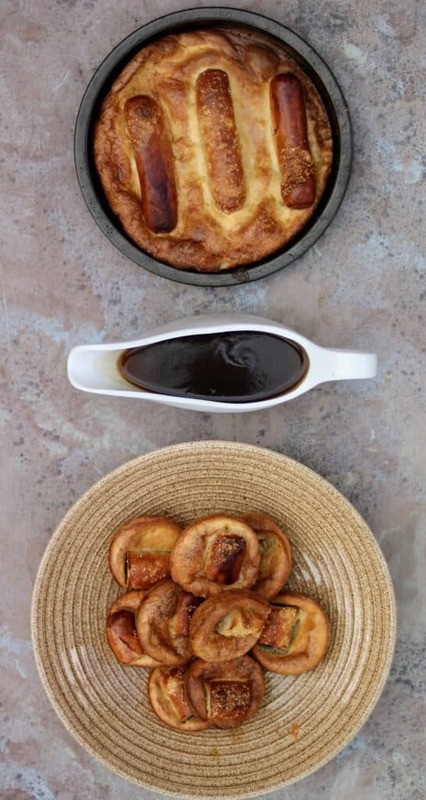 OR WHAT ABOUT SYN FREE TOAD IN THE HOLE? 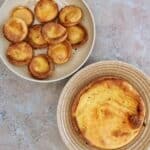 Slimming World friendly Syn Free Yorkshire Pudding using healthy extras that's perfect with your Sunday roast dinner. If not using as your Healthy Extras, then the puddings are 8 syns for the lot. (That's 7 syns for the oats and 0.6 syns for the skimmed milk). Preheat your oven at 230c or gas mark 8. Spray two a non stick 8" round cake tin well with frylight, or a regular muffin tin (if making 10) and place on a metal tray and leave in the oven for 10 minutes while you make the batter. In a food processor or blender, blitz the porridge oats until a fine powder. Don't try to blend it all the ingredients at once as I find the oat won't breakdown as much. Now add the remaining ingredients and blend again. Once the tin(s) are extremely hot, pour the batter in to each immediately, swirling until all the surface is covered and bake for 15 minutes without opening in between and serve. If you loved it, then why not tag me on Instagram (@TastefullyVikkie) so I know you made them? I was starting to lose the will to live until I subscribed to your wonderful page! 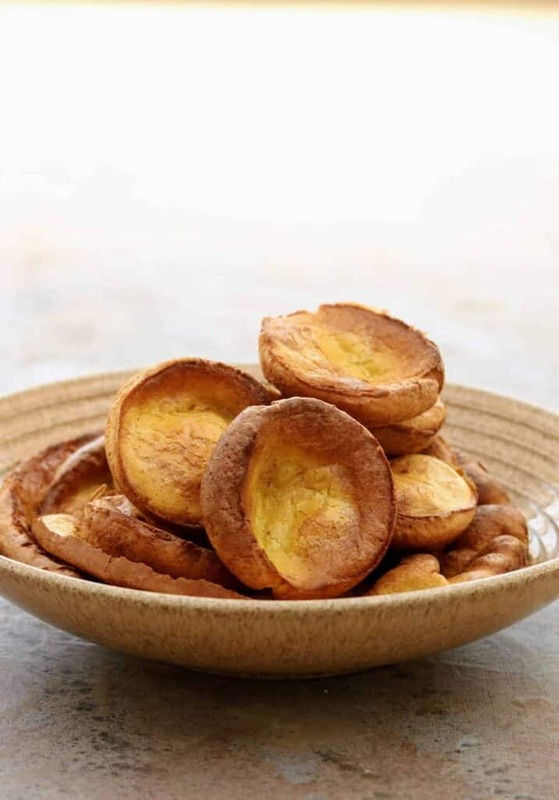 A roast without Yorkies is sacrilege. ? These will change my life!! Can’t wait to try them! Hope you like them ? I’m going to try toad on the hole with it tomorrow ? Hate to be the bearer of bad news but are you sure these are syn free? Most grains when you grind them gain a syn value… Stupid I know! Really enjoyed them. Not true yorkie but a really tasty healthy alternative. Will definitely make them again. I have only just found your recipe and can’t wait to make it. I really thought I was not allowed to have any Yorkshire puddings & so because I couldn’t neither could my family without me, I’ve been saved, thank you Vickie. I cant wait to try then now! 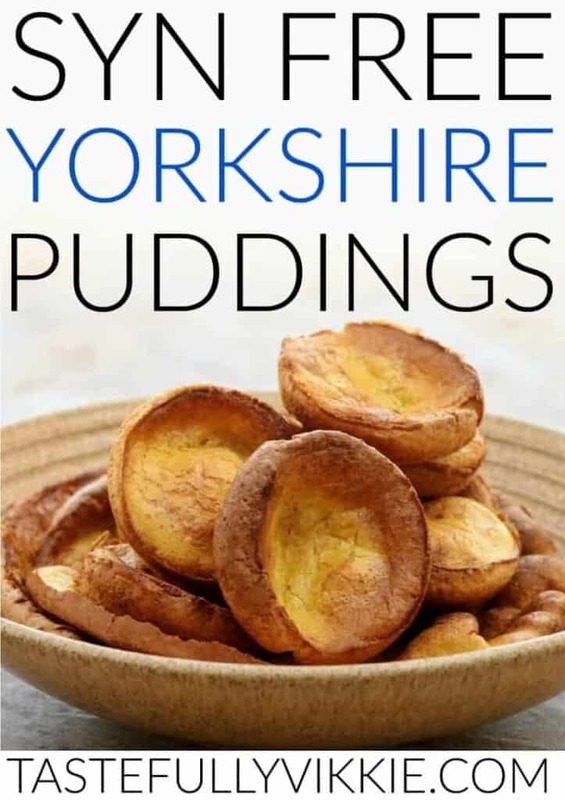 I made these this evening and they were really lovely.Tasty and light and not with any taste of eggs.Would highly recommend.Thank you from Chris in South Yorkshire.